People who make decisions are the ones who show up. More than 20 years ago, the ones who showed up in one room decided to form a network of visual art gallery owners and managers with the intention of raising the awareness of the range and diversity of the local art scene. The name Visual Art Network was selected, which provided a catchy acronym – VAN, but several years later the group adopted the elemental title LOOK, coined by founding member Julius Friedman. On the eve of the publication of the new LOOK Gallery Guide, the language is more formal: “…a professional consortium for local art galleries and museums to promote awareness, growth and success of the visual arts in Louisville,” but the essential mission remains unchanged. 35 members will be featured in the full-color booklet, which will premiere at a Launch Party located at new member 1619 Flux: Art + Activism on September 28. It is a publication designed for out-of-town visitors, available at hotels and visitors centers around the city. Yet if a local veteran of the arts and culture scene picks one up, they are likely to be surprised by an entry or two. Craft(s) Gallery and Mercantile on South 4th Street opened in 2013, this will be only the second time that Kentucky College of Art + Design at Spalding University have listed their 849 Gallery, and PYRO Gallery will have very recently moved into their new location on East Washington Street. 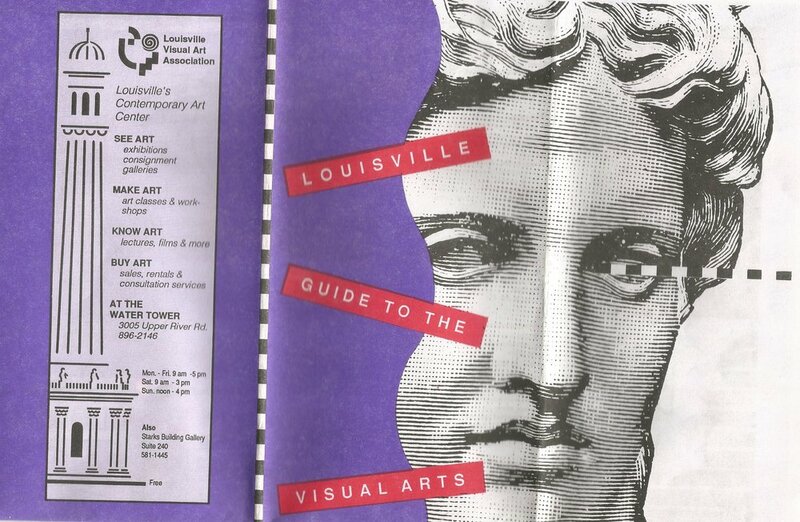 The guide is dedicated this year to Julius Friedman (1943 -2017) who advocated for many years for the Louisville Metro Government to promote the visual arts in a manner commensurate with the performing arts. Actors Theatre of Louisville, the Louisville Orchestra, the Kentucky Opera, and the Louisville Ballet have enjoyed reputations that carried well outside of the city boundaries, and he was convinced that the visual arts community could be just as effective ambassadors if given the attention in tourist promotions. 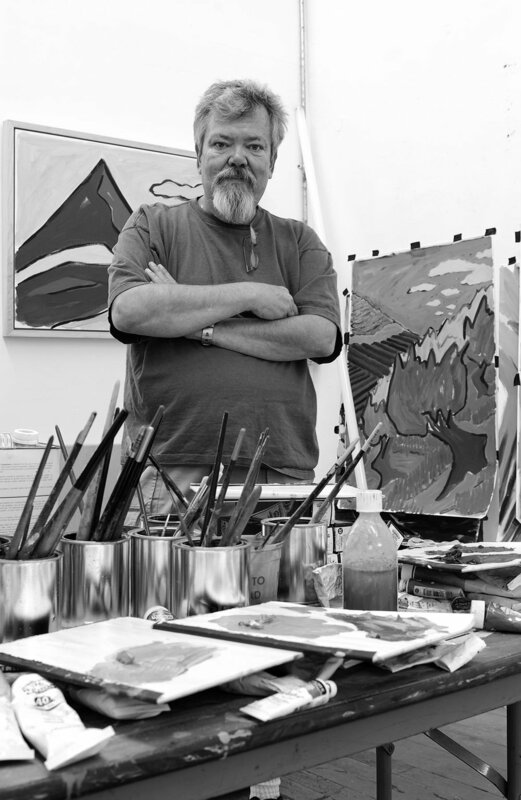 As a gallery owner and art dealer for most of his professional life, he represented local and regional artists with passion, and was forever frustrated by what he perceived as a lack of attention from city officials. "Billy Hertz" by Geoff Carr, c. 2004. Courtesy Geoffrey Carr Photography Inc.
One thing you can always count on is that artists will not wait around, they will usually find a way to do for themselves. VAN was born in the 1980’s, with the mailing address given as 3005 River Road, the historic Louisville Water Tower that was the home at that time of Louisville Visual Art (then Louisville Visual Art Association). LVA was a member, as was Swanson Gallery, then on Bardstown Road, Billy Hertz’ gallery, which was on East Market Street long before the phrase “NuLu” was a gleam in the eye of developers, and Zephyr Gallery, the city’s first artist co-op space. The first published guides were tri-fold affairs with no color photography and visual design based more on a cut and paste aesthetic that was in fashion then. As hard as it may be to believe, digital graphics were almost unheard of back then. When VAN started, LVAA had one Apple Macintosh 128 in the office. The last several editions have been full-color, glossy paper, staple-bound booklets designed by Elizabeth Spalding of 21Skye Design. This Feature article was written by Keith Waits.